Client: PrJSC "Odessa Cognac Factory"
Winery is a special place without any rush and fuss, only scorching sun, intoxicating air and endurance. 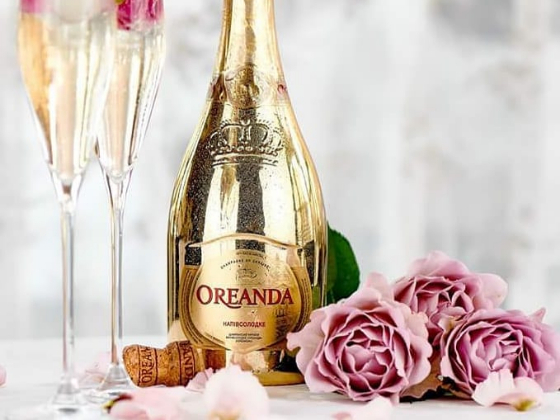 If you do not have the opportunity to enjoy the expanses of grape harmony by yourself, feel it through the prism of the brand "Oreanda". In every part of Ukraine champagne takes an honorable place in a friendly atmosphere of celebration. None of important event can be hold without this solemn sparkling beverage. 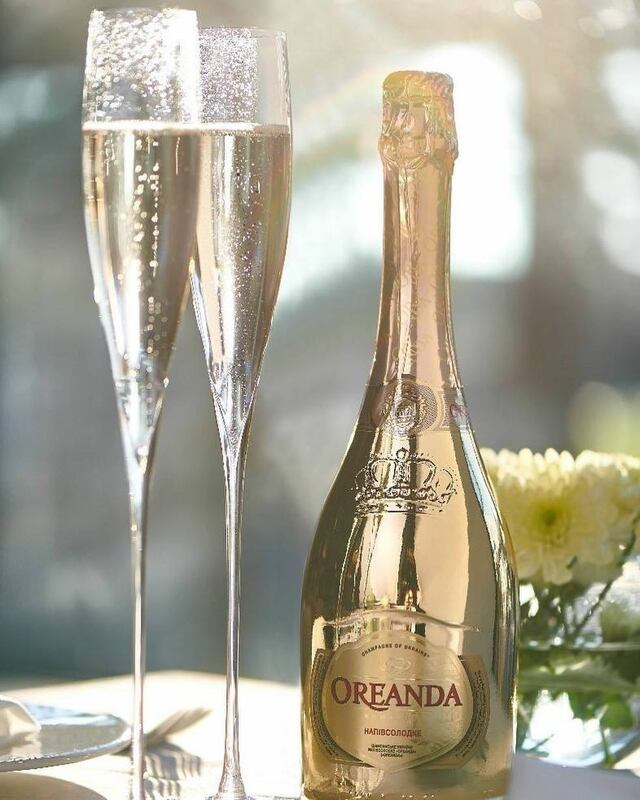 Refined "Oreanda" performs as a delicate note of the table and is adapted to different tastes of its admirers. Vacuum metallization perfectly fits the parameters - providing a mirror effect as a gift. 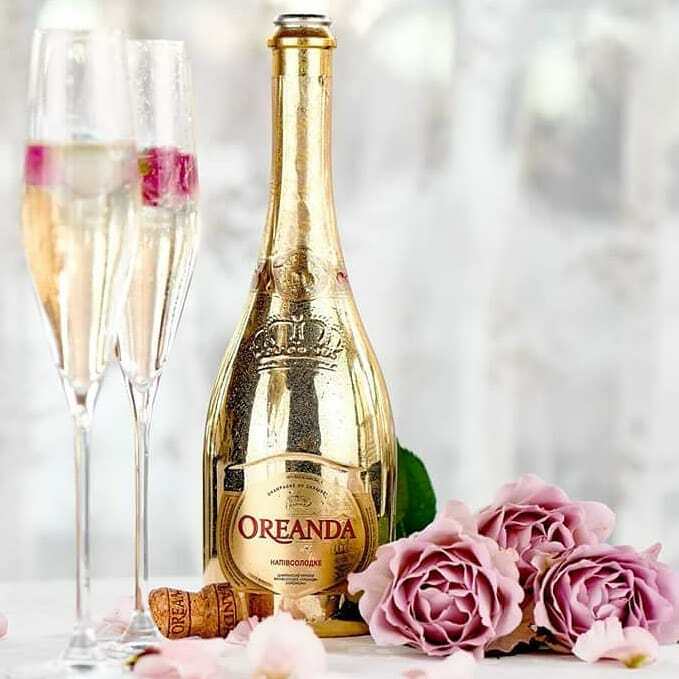 This is what distinguishes bottles of "Oreanda" from "DanCo Decor" from other representatives of its sparkling world. What is special about the technology? A glass product is subjected to a vacuum and the metal deposited on its surface. It is in this process there is born a mirror effect that gives greatness to a bottle and significantly increases its personal status by several levels up. In this technology, there can be seen the high cost, accuracy, delicacy, without which such a brand should not make do. This confirms the strength and status. The decor of bottles "Oreanda" from the Company of "DanCo Decor" is laconic, but very individual. After all, you can pick up your story, mark an event and fix a frame for each color of it. No matter how many compliments have been said in the address of the technology of production and the result of work - a beautiful creation, it is important to appreciate the outcome of your own eyes. Fill it. Enjoy the effect and harmonious aftertaste of all components as the item itself - mirror bottles in different color variations as well as emotions of a significant event.